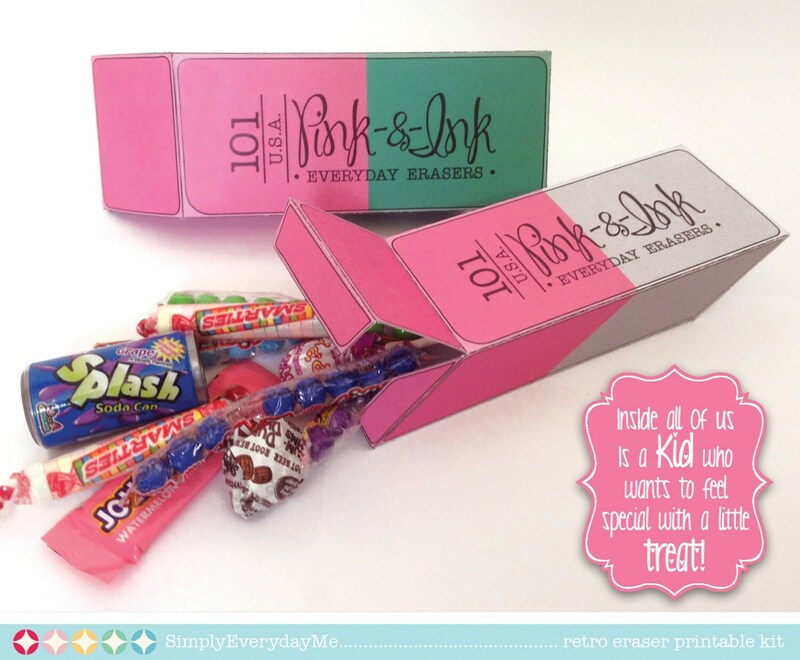 (¸.·´You'll get a kick out of giving this Retro Eraser - They're classic retro fun!! 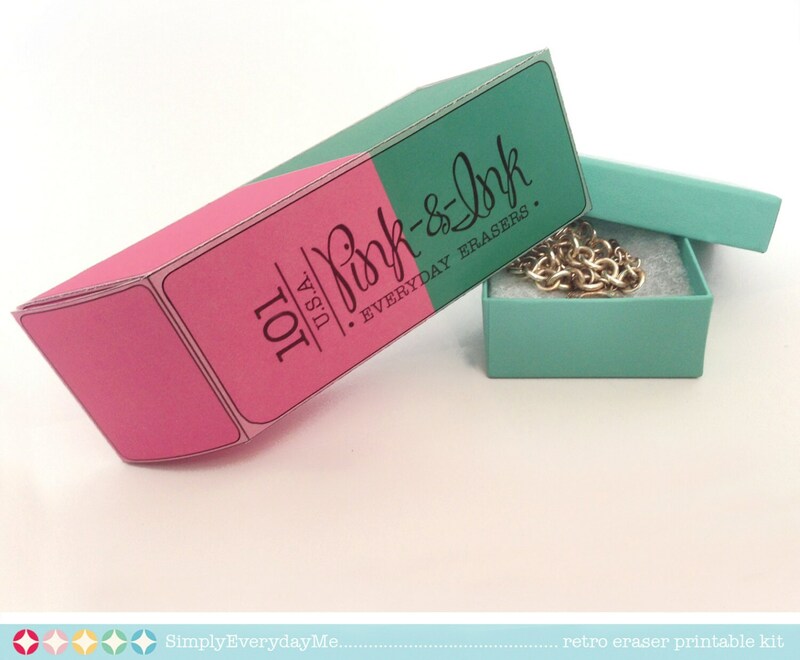 Included in the kit: Retro Classic Pink Eraser Box ★ Retro Pink&Grey Eraser Box ★ Retro Pink&Green Eraser Box ★ Retro Pink&Blue Eraser Box ★ Removable Gift Card Holder ★ Full color step-by-step instruction to get you crafting right away. NOTE: For best results, use the free Adobe Reader, especially with editable PDFs. You may print as many as you need. Each page fits within an 8.5”x11” letter or A4 paper, and 110lb cardstock is recommended. When assembled, box measures: 7”l x 2.5”w x 1.5"h.
These Retro Eraser Boxes are just right for the person who loves everything retro.They make a perfect for gift giving to an... artist... student... teacher... any doodler you know... and let’s not forget birthday party favors... back-to-school... teacher appreciation... and the last day of school! 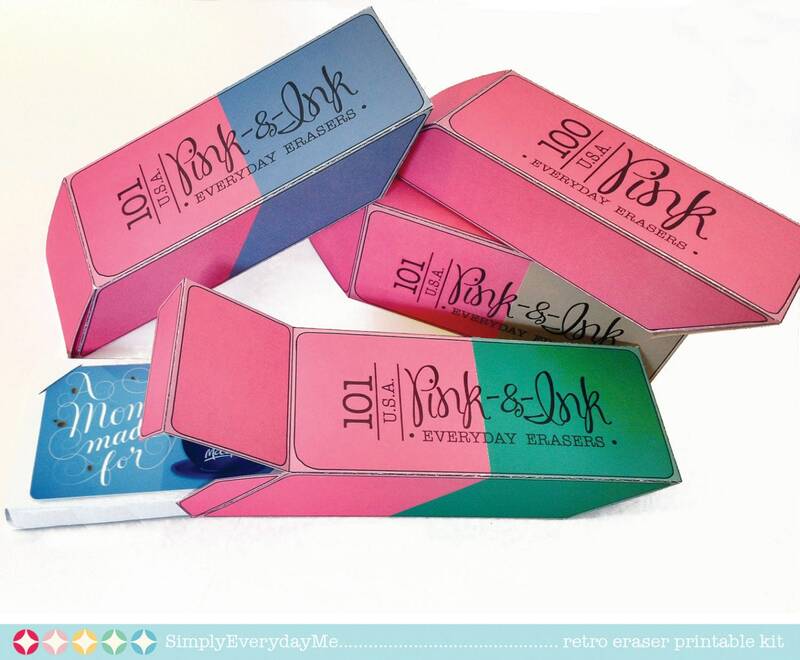 These Retro Eraser Boxes will fit all sorts of little yummy treats... or a gift card with the included gift card holder. 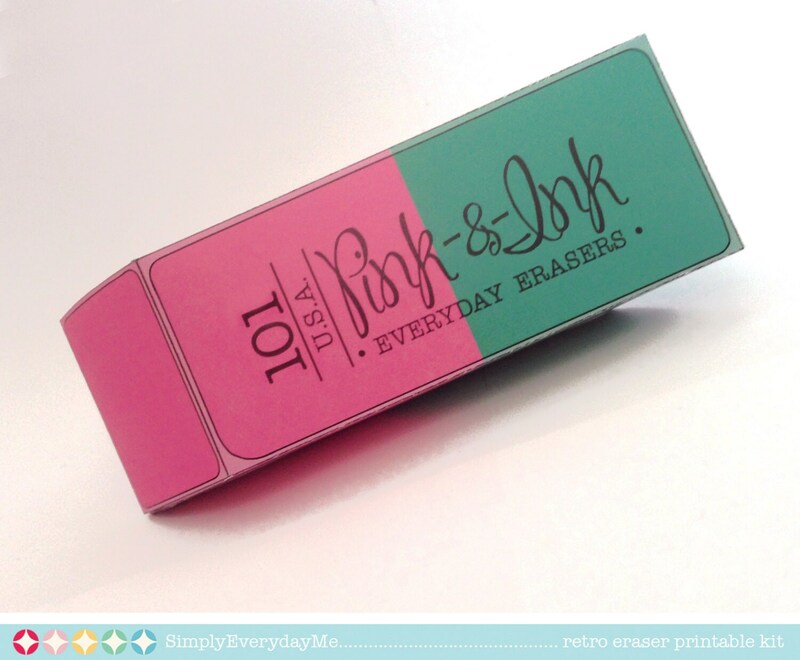 I just love these eraser boxes. 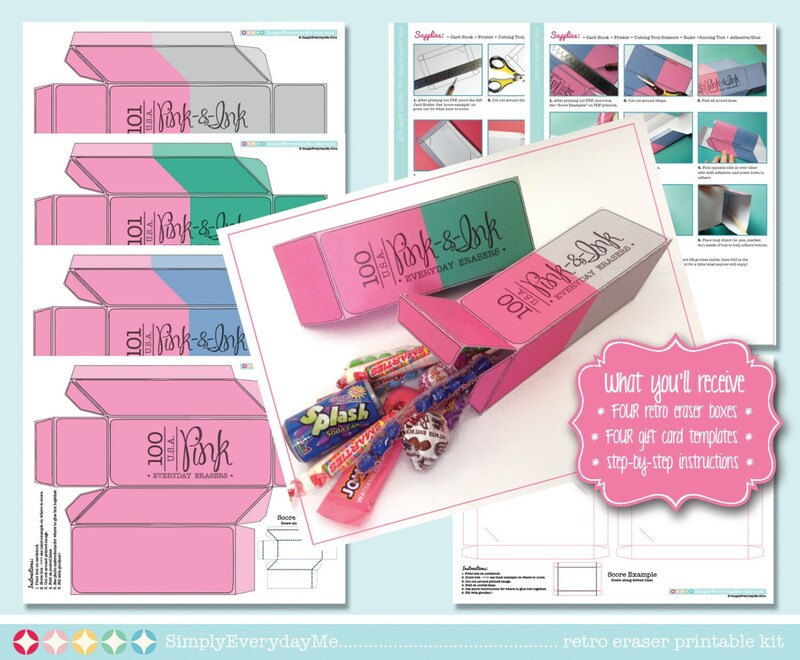 They are adorable, easy to assemble and were perfect for teacher gifts. Thank you.